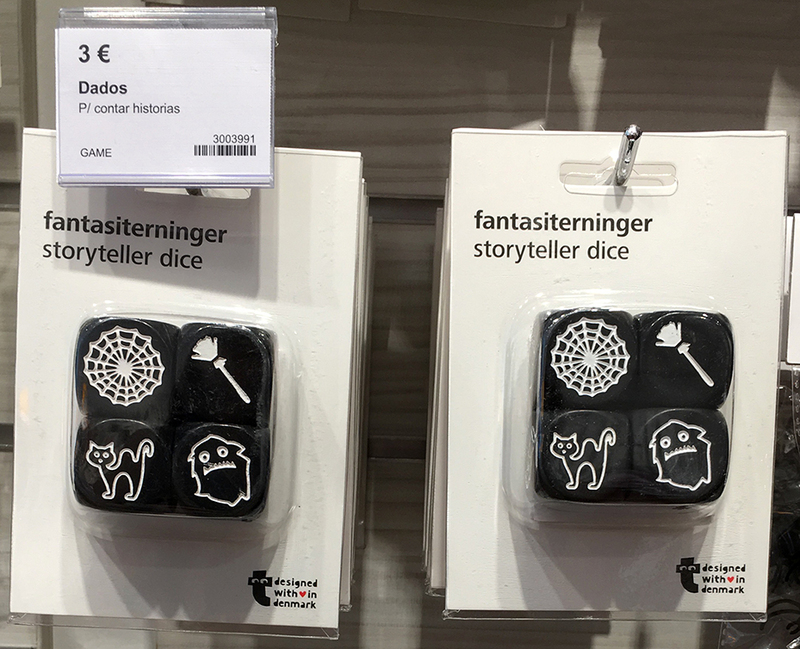 Those who create retail assortments rarely get a full view of what happens to products they develop and select at the fateful point of purchase. Which items really made cash registers ring? 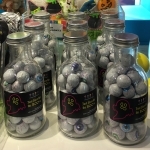 Which in-store displays actually swayed customers to buy? Not knowing the answers to these questions can feel like sending a message in a bottle and never learning what became of it. But our Taking Stock of Retail series of reports, joint ventures between our trend professionals at The Trend Curve and the licensing experts at Lookout Marketing, do all the reconnaissance for you. 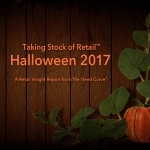 Taking Stock of Retail™ Halloween 2017 is a downloadable report, with 150 pages and over 600 images taken on-site by our team at more than 90 retail locations in the Americas, Europe and Australia. It also has snaps from online and email promotions. This report goes beyond key Halloween 2017 trends to a store-by-store view of the most interesting elements from each retailer's assortment—including a few surprises. Of course, Halloween, by its very nature, is always full of surprises. This year, one of them came from an amazing level of creativity that made store windows so compelling (our favorite was found at Fortnum & Mason). 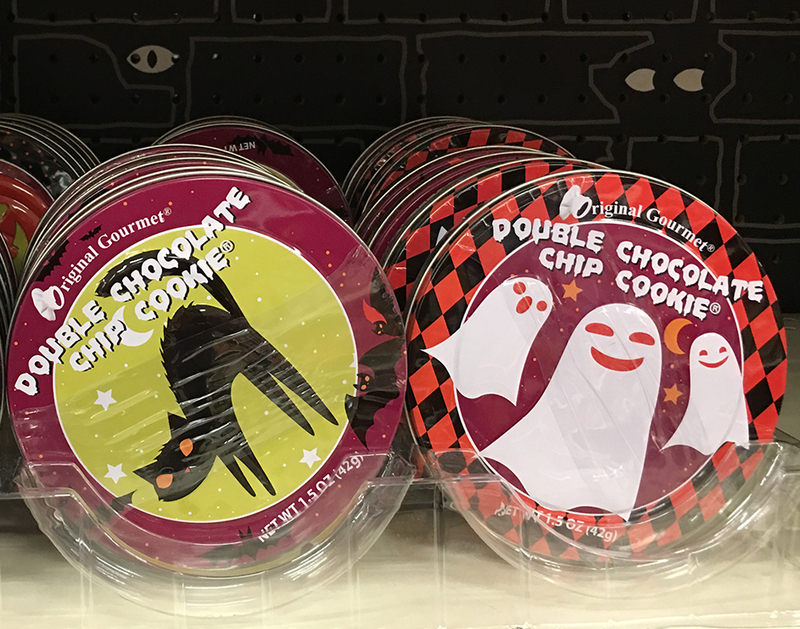 Windows were an indicator of another surprise: Halloween defies the online shopping trend. Most celebrants this year planned to shop at either a bricks-and-mortar discount store (42.1%) or a Halloween store (37.5%), with a minority shopping online (22.3%). 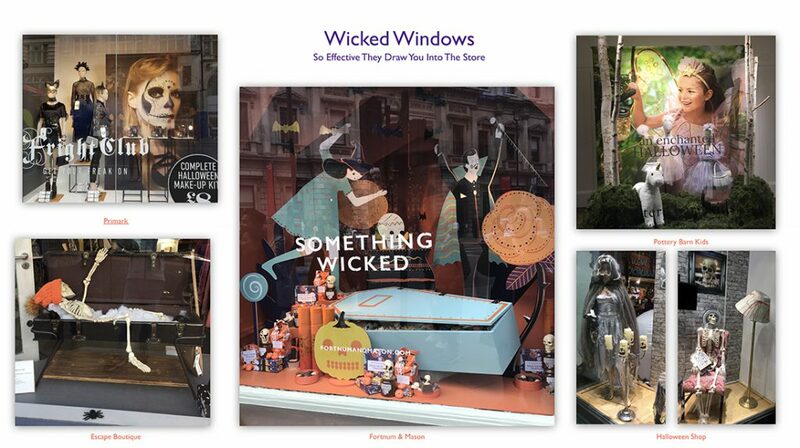 Windows like those featured in our Wicked Windows trend make it easy to see how shoppers can be drawn into physical stores. Another surprise came from color. Yes, orange remained the dominant choice for Halloween décor, gifts and clothing. 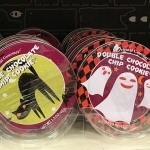 Yet, a significant number of products came in unexpected hues that tugged the Halloween palette in new directions. Frankenstein-like monsters. for instance, preferred nearly neon green to the usual basil-inspired hues, haunted houses received shots of unexpected pink and select backgrounds went for gray, connecting with an established preference for pink and gray in everyday home décor. Even pumpkins moved away from tradition, with the newest in dark-and-moody Bordeaux. Our Dark Shadows and Alternate Reality trends tell these color stories best. Was anyone really surprised by the decline in candy sales? While 71% of the celebrants planned to hand out candy to trick-or-treaters, many parents were choosing to take their costumed kids to community parties and trunk-or-treat events instead. Another likely cause of lower candy sales is a growing concern about the health issues linked to sugar. This could be making sweet treats less appealing to kids and parents than they once were. 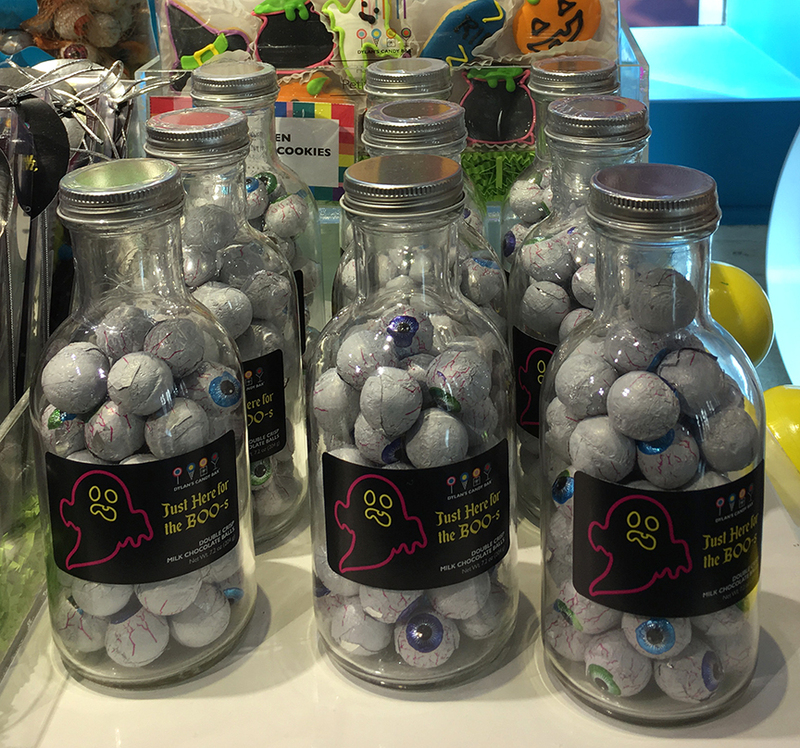 Which prompts the question, "Should Halloween treats always be sweets?" 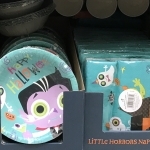 Along with games (see our Games for Little Goblins trend) 2017 children's Halloween parties were likely to feature healthier homemade snacks, such as popcorn balls and nuts. In fact, salty, bag-lunch snacks (think potato chips and Chex Mix) got enthusiastic responses from door-to-door trick-or-treaters. Pets, the latest group to join the ranks of trick-or-treaters, have added a whole new category of snacks to the hand-out fare on Oct. 31st. And costume stores showed a range of guises for both dogs and cats. On 2017's list of top pet costumes were pumpkins, frankfurters, lions, pirates, bumble bees, and devils. Household pets have become the subjects of Halloween décor, too. Our Dogs in Disguise trend shows you options that went from adorable to horrifying. 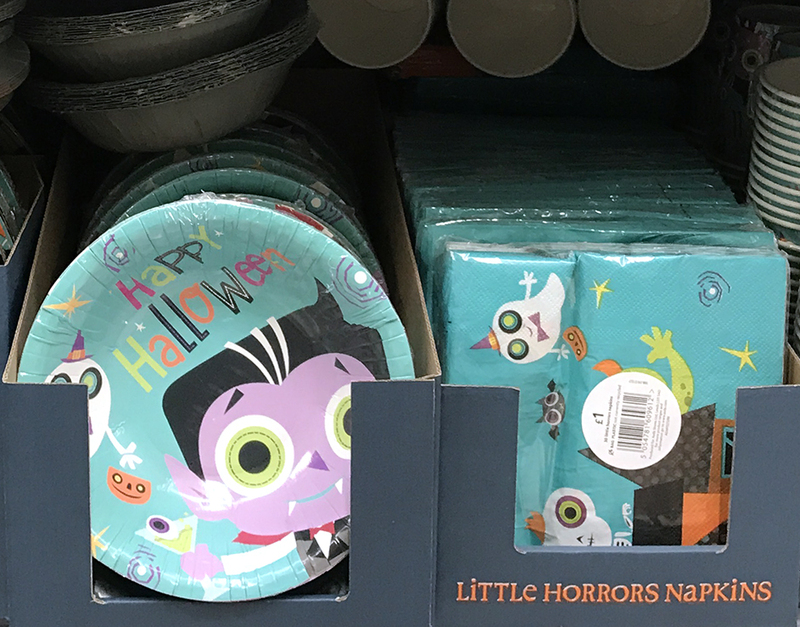 Taking Stock of Retail™ Halloween 2017 will tell you all about all these trends, plus many others. The lessons learned in this report will help you build successful assortments for 2018 and beyond!